As a feisty fifteen year old in 1974, my musical journey had already begun some years earlier, with firstly listening to my older brothers Beatles and Moody Blues albums and then discovering for myself the glories of Glam Rock and the likes of David Bowie, Mott The Hoople et al, but there was a band, and in particular an album, that was to change the way I heard music forever; that band was Queen and the sonic masterpiece that was 'Queen II'. 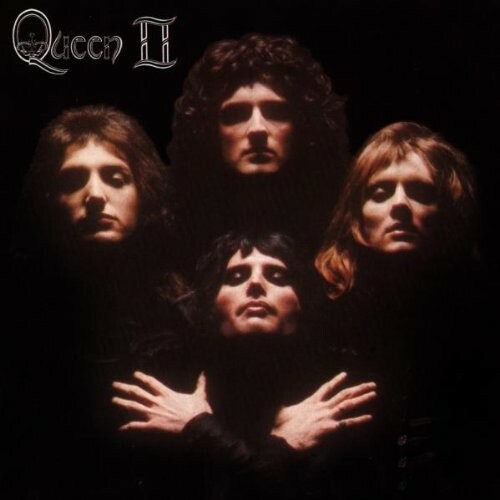 As I write this piece 'Queen II' is now over forty years old and it still remains a supreme piece of art, yes art, as it transcends mere music and it spoke to me like no other album before or since. My first experience of Queen was as support act to Mott The Hoople and my head was suitably turned and I immediately purchased their debut, which was a fine affair, but it was the follow-up that was the real game changer. So, in late 1973 the band were afforded (for the time) the luxury of spending three months in recording this album, and it was time very well spent with them immersing themselves in a recording that was so dense, layered and bursting at the seams with ideas. Never, to these ears anyway, have four musicians (ably supported by producer Roy Thomas Baker and engineer Mike Stone) produced such a beautiful noise from the stately 'Procession' through to the final refrain of "Oh I do like to be beside the seaside". Side Black. What do I say about the most perfect twenty minutes ever committed to vinyl? Well, it's truly breathtaking in its scope and vision, written entirely by Mercury and let's just forget 'Bohemian Rhapsody' for a minute because to my mind this is quintessential Queen (and I think most music fans, Rock or not, know this entry more than well enough). In essence, Side Black is a twenty minute suite with each song flowing into the next to produce a sumptuous epic. 'Ogre Battle' is Thrash years before the genre was even really thought of, and 'The Fairy Feller's Master-Stroke' is so intricate and with a lyrical content that will have your head spinning; we even get a harpsichord thrown in for good measure too. 'Nevermore' is a short, piano-based, heartfelt piece that in many ways paved the way for the show stopper 'Love Of My Life' which, in later years, became a staple of Queen's legendary live shows. With that, we then arrive at 'The March of the Black Queen', this song is grandiose, pompous, overblown, epic... shall I go on? Suffice to say, I believe this to be Queen's masterpiece, throughout its six-plus minute length it crams in so many ideas, and is so dense at times it comes across like a tapestry rather than a song, with the musicians weaving their magic through its many sections; it's also Queen at their most overtly Progressive. 'Funny How Love Is' is a remarkable Phil Spector-sounding piece and one of the first signs of the band stretching their Pop wings, before it's all rounded off with the wonderful adrenalin rush that is 'Seven Seas of Rhye'. Even the album's artwork was striking too, with the front cover image later being used for the legendary 'Bohemian Rhapsody' video. This album gave the band their first Top Five album and Top Ten single in the UK, and of course the band went on to achieve huge worldwide success and are now rightly seen as one of the most iconic bands in Rock. This album, even if Queen had done nothing else after this, stands as a testament to their creativity, ambitiousness and stubbornness, which saw them flying in the face of the vitriolic press they received at the time, back then it has to be remembered then the press by and large, dismissed the band and really did lay into them. If you only know of Queen through their many hit singles, can I politely point you in the direction of 'Queen II' and you will hear a band at the very top of their game, sounding heavy and Progressive but still with that unerring sense of melody that they were so adept at. The BBC Radio programme 'Desert Island Discs' say you can take eight records with you to your desert island. Me, I'll just take the one, thank you.